The Daytona sunglasses from BLOC are the ideal partner for demanding activities, they are engineered to enhance performance and provide total protection. These glasses are suitable for everyday wear thanks to their durable, lightweight design and Karbon TX bi-core injected structure. The distortion free, impact resistant XTR Karbon8 optical class one lenses provide maximum protection against UVA, UVB and other harmful blue light up to 400nm. Tested to BS EN ISO 12312-1:201. The hypoallergenic nose pads and the non-slip hypoallergenic temple tips are designed for comfort and fit. With enhancing sports hinge, no matter what activities you are doing your vision will not let you down. 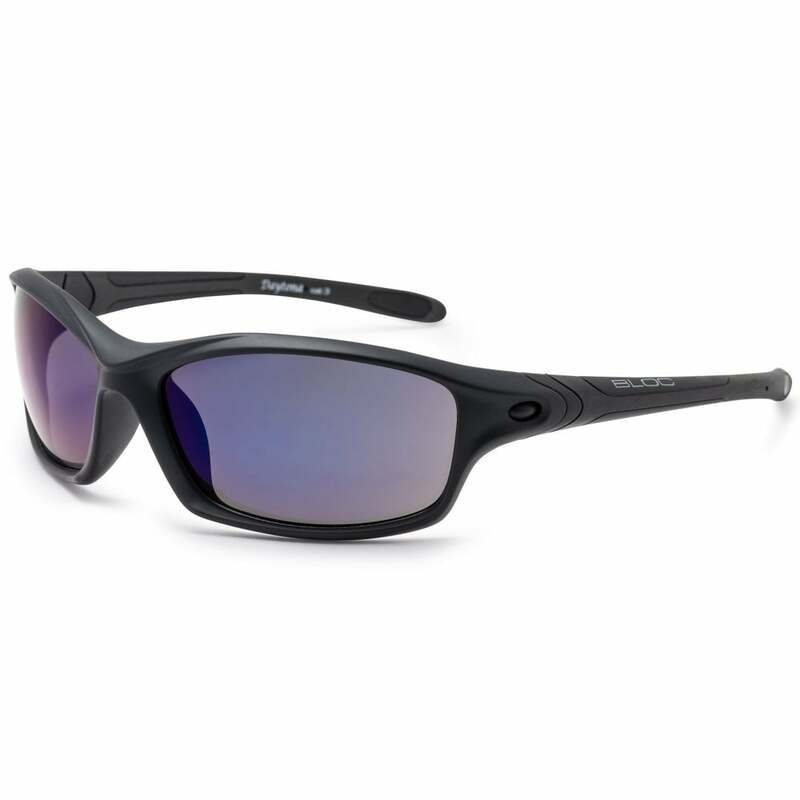 Durable lightweight design, Karbon TX bi core injected structure, Karbon 8 optical class one lenses, Maximum UV Blue Mirror Category 3 Lenses, non slip hypoallergenic temple tips.